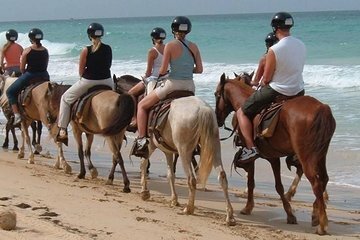 Explore miles of untouched coastline during a leisurely horseback riding excursion from Punta Cana. Start your tour at a countryside ranch and see tropical rain forest and golden sand beaches far away from the crowded tourist spots. Catch sight of native birds and take a refreshing dip in the clear Caribbean waters during this tour that’s ideal for nature lovers. Plus, hotel or port pickup and drop-off is included.